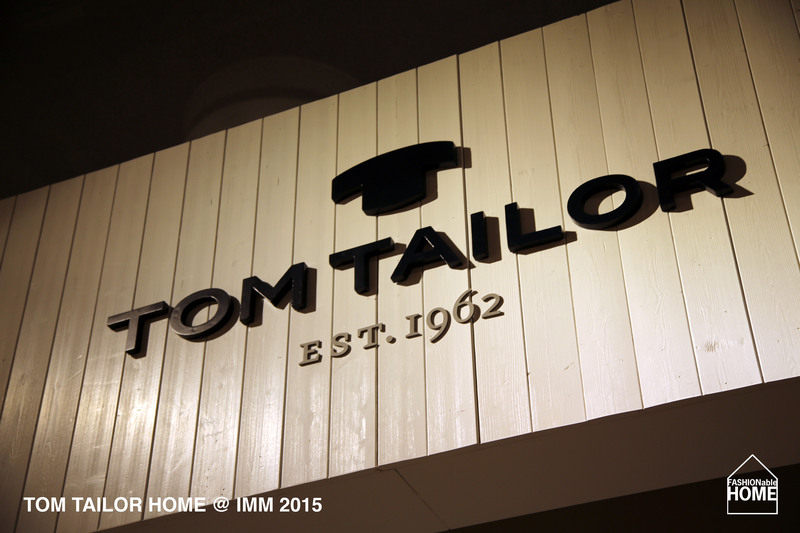 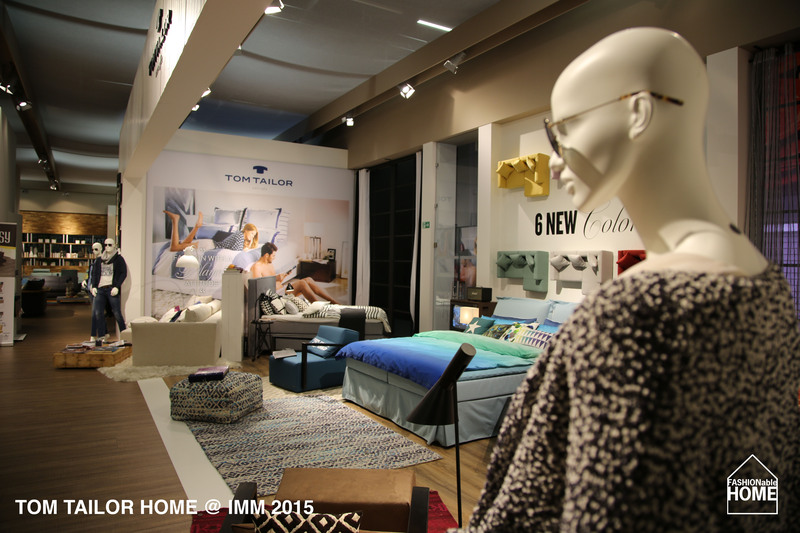 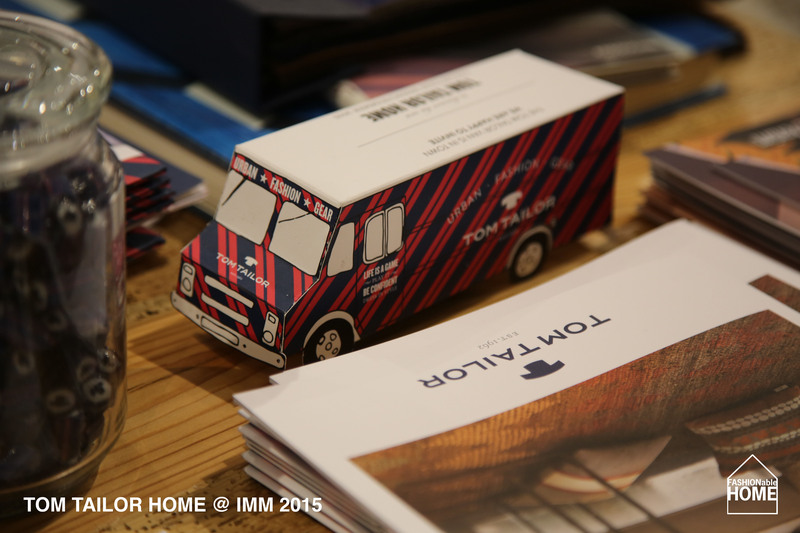 German fashion brand TOM TAILOR continued their string of fair presences in Cologne with a small but well-coordinated “gig” during the IMM fair. 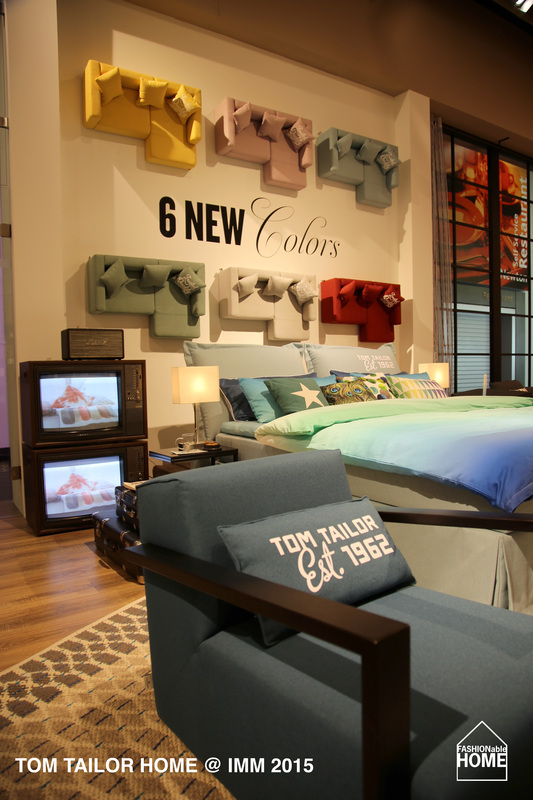 The eyecatcher where 6 minature sofas – apparently mini versions of TOM TAILOR’S Heaven sofa – in 6 new colors including some nice pastels like a greyish light rosé and an ice blue. 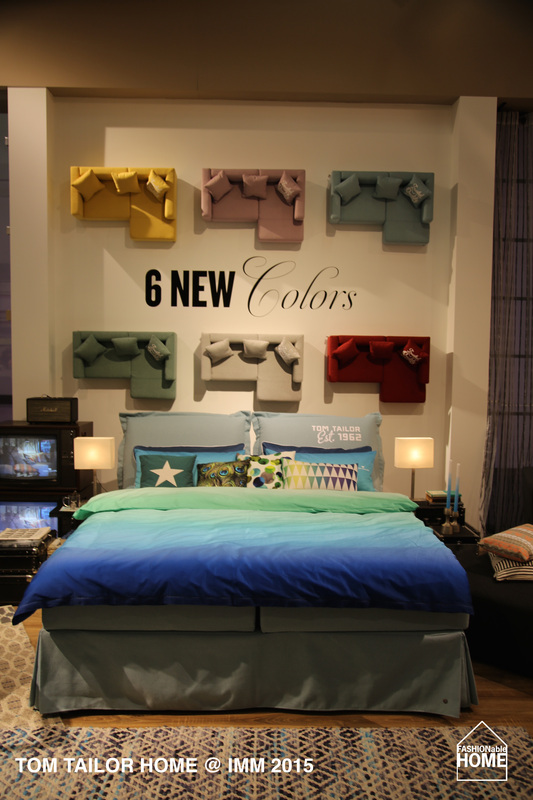 This adds the total number of colours in the COLORS range to a whoopy 24. 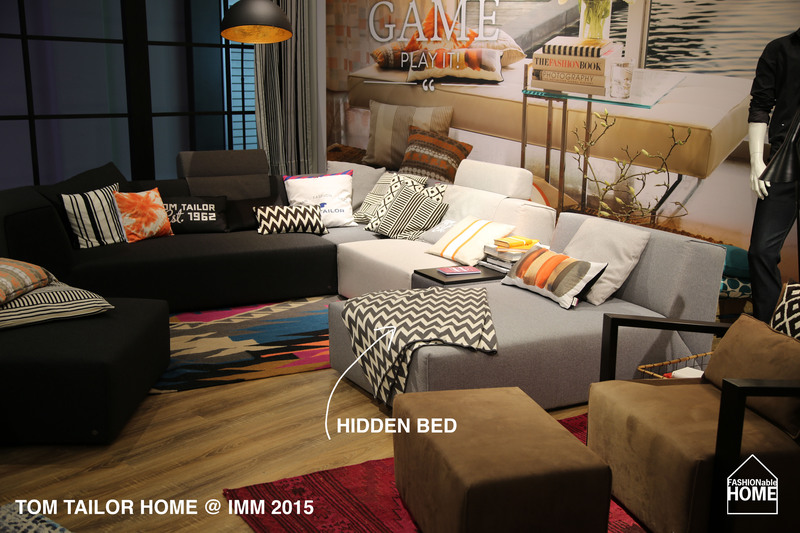 The cubic ELEMENTS element group was enlarged with a cool chaise-longue that can transform into a bed without looking like a chunky bedbox. 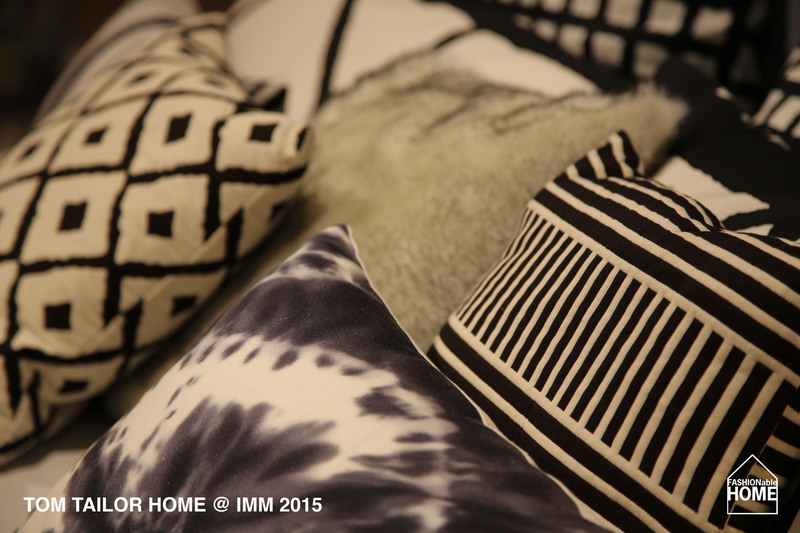 The group was on display with some nice orange and black and white cushions and a very funky coloured FUNKY KELIM carpet. 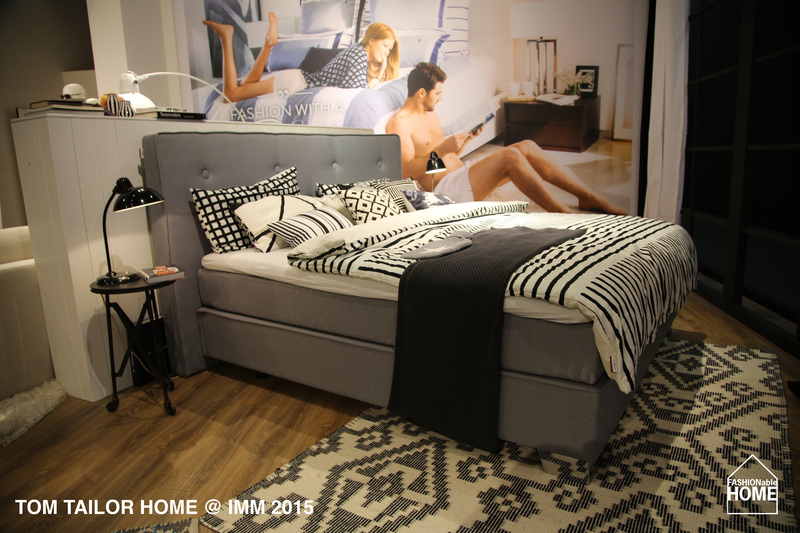 The two boxspring beds on the stand had larger headboards and were in fact “XL” versions of successfull models CUSHION BOX and SOFT BOX. 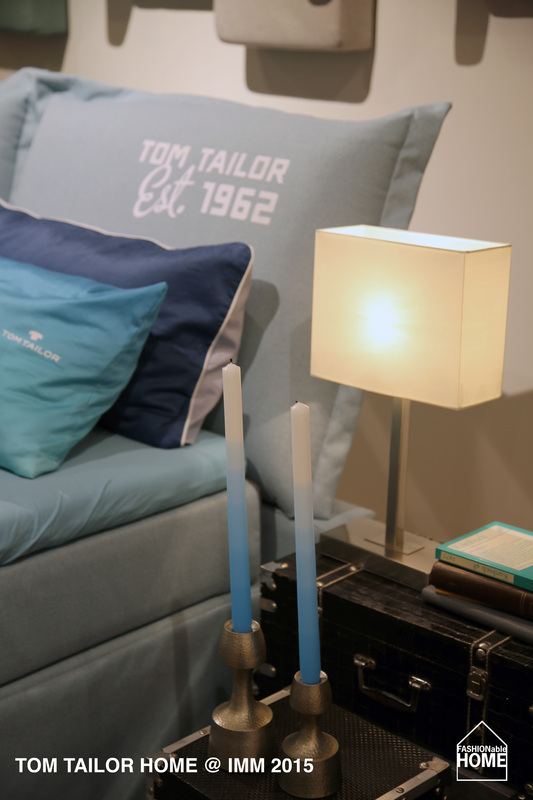 The CUSHION BOX XL was especially nice, as it was dressed in a new ice blue fabric and decorated with a bold degradé bed linen out of the brands new collection. 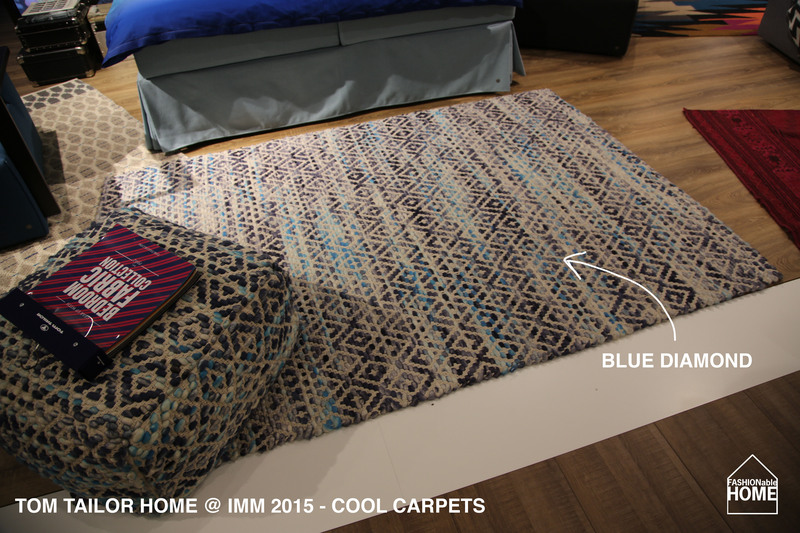 Remarkable were the new carpets: BLUE DIAMOND is a chunky wool-mix flatweave carpet with blue and turquoise highlights. 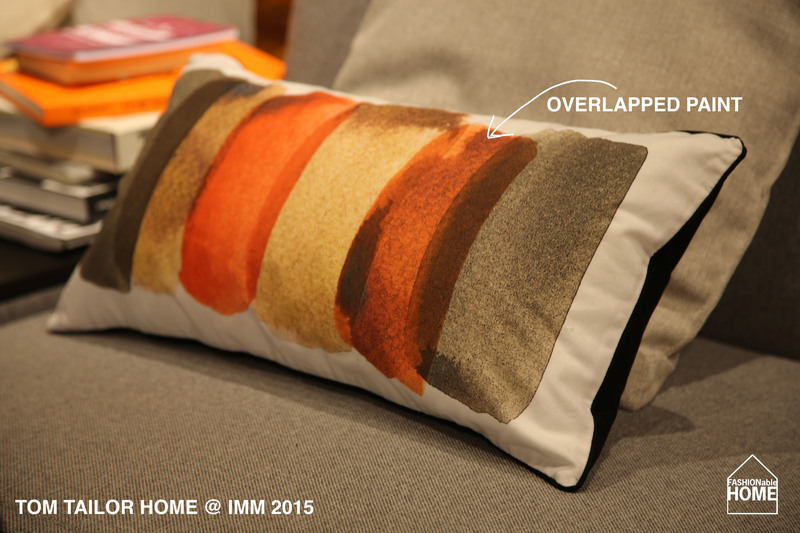 It is also available as a cool pouf. 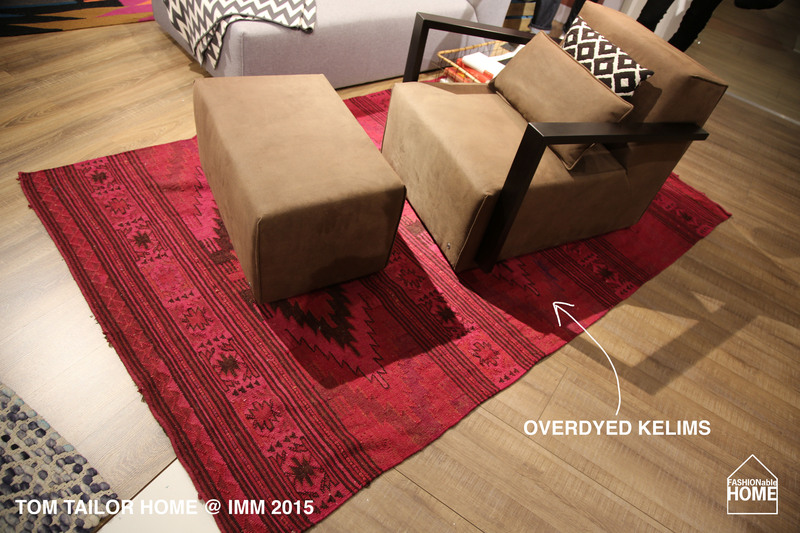 We also spottet a fuchsia version of an overdyed kelim called KELIM COLORS. 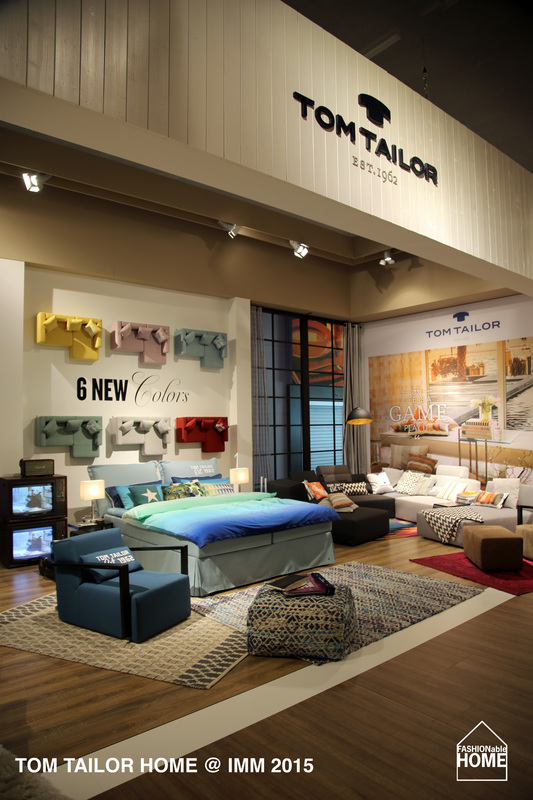 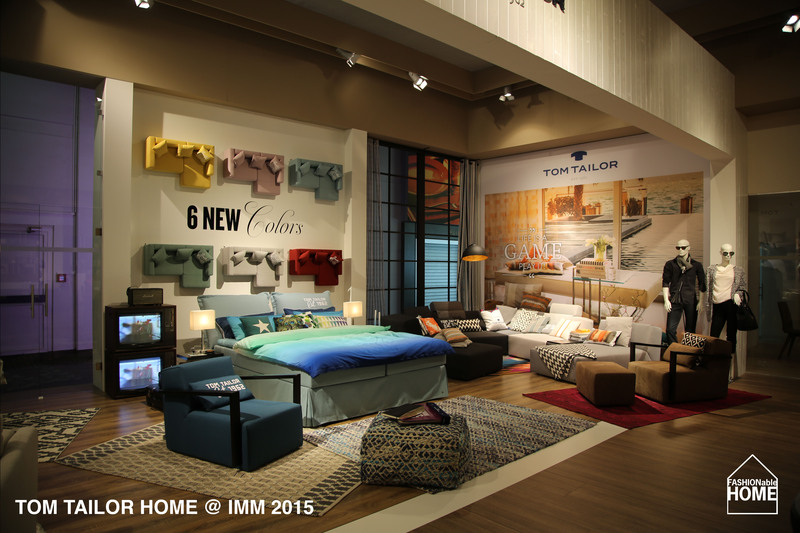 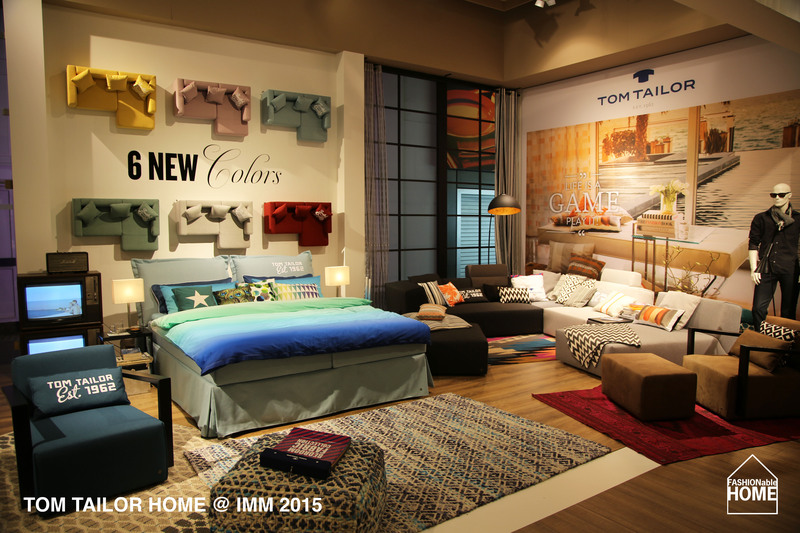 It all fitted together well and we have to say: TOM TAILOR is really one of the best mid-price home collections around, mixing furnitures & textiles in a continously nice and attractive way. 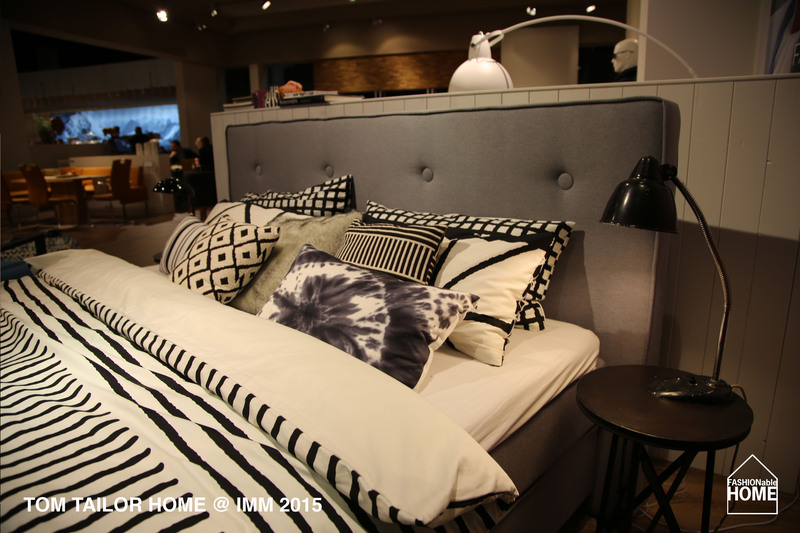 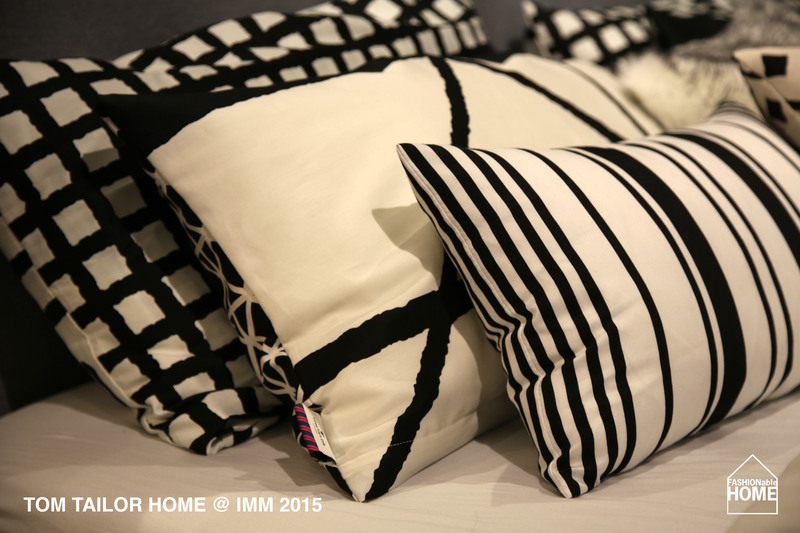 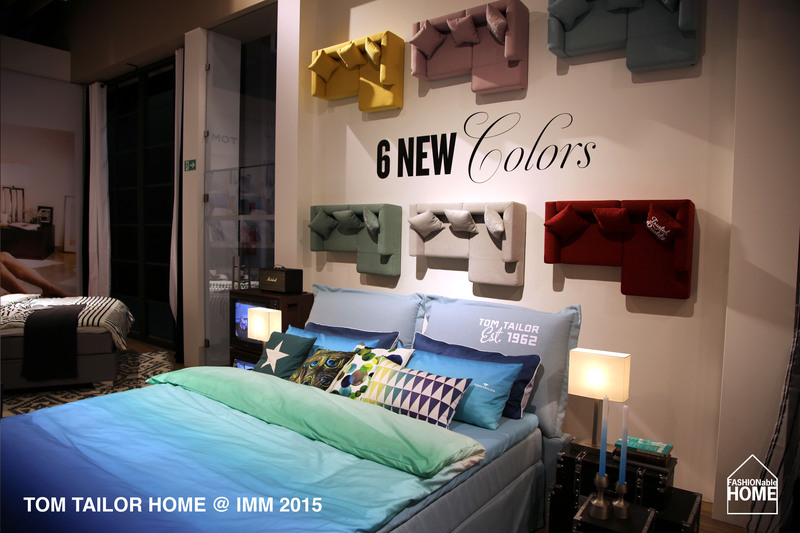 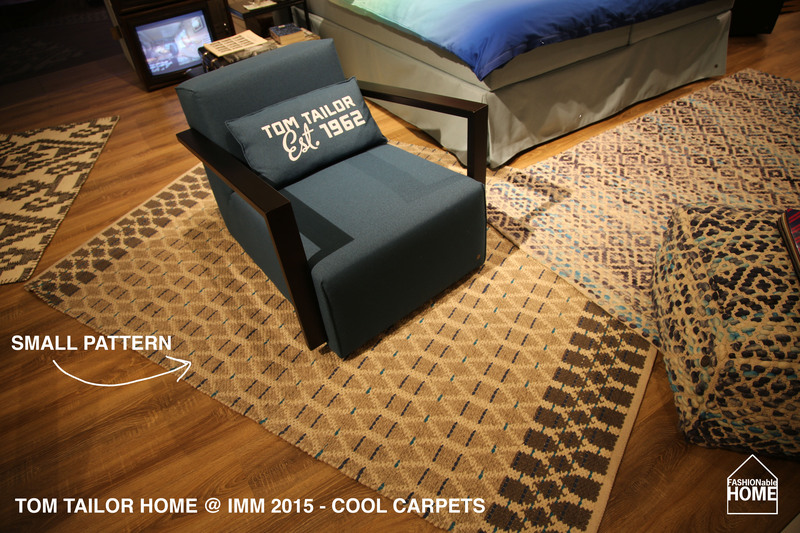 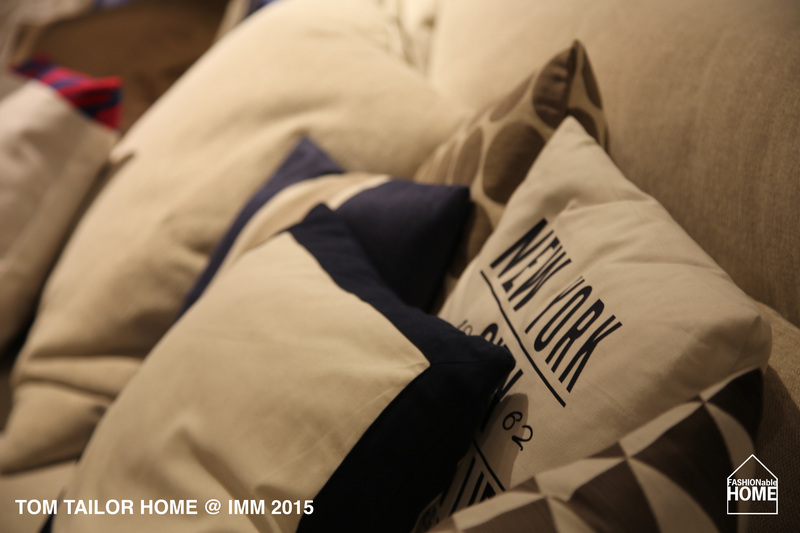 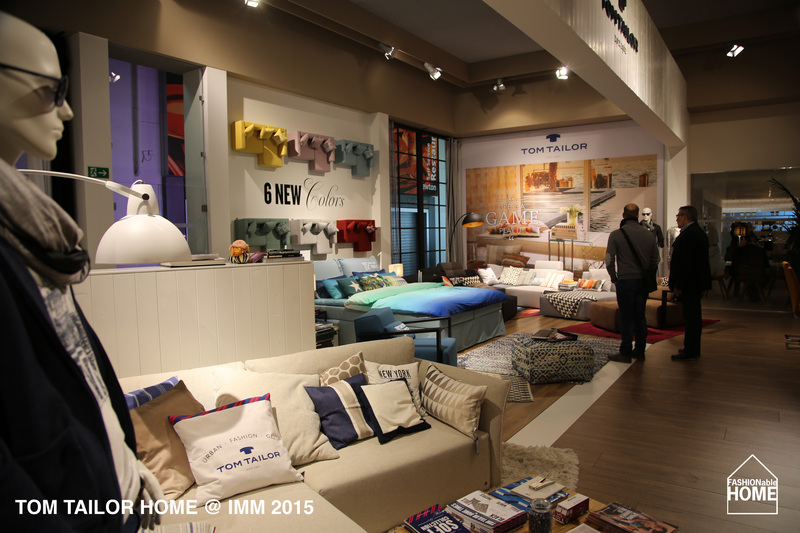 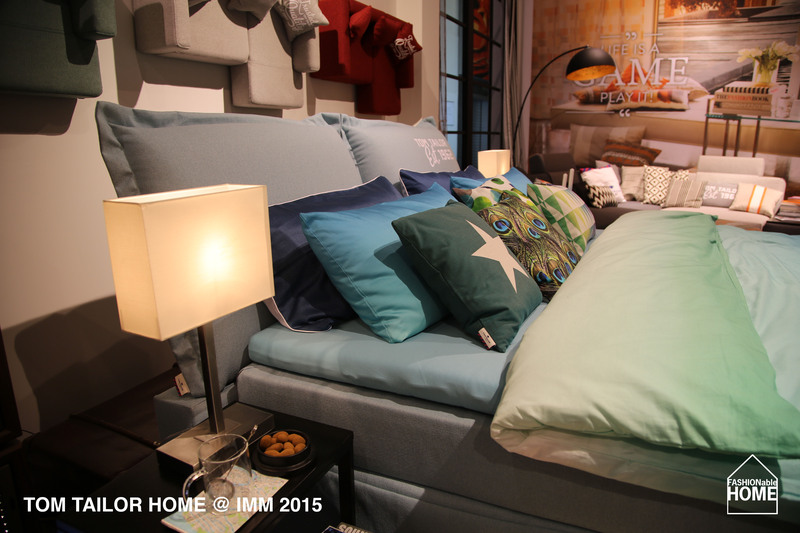 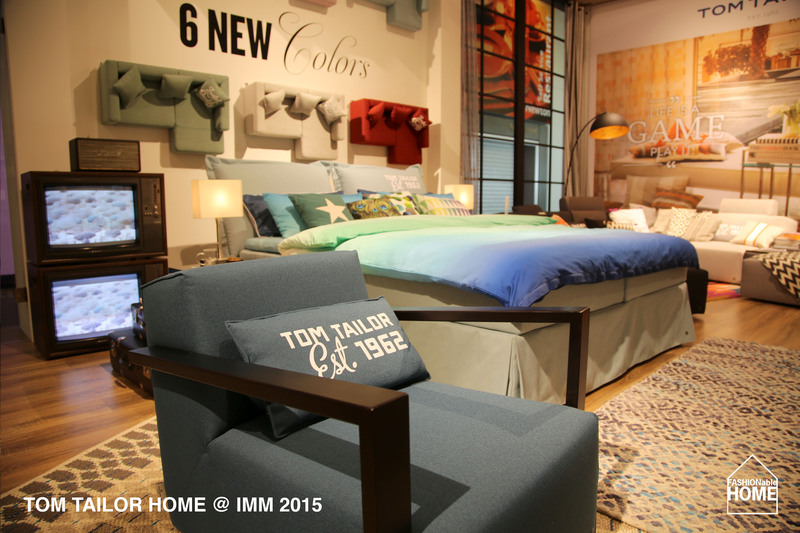 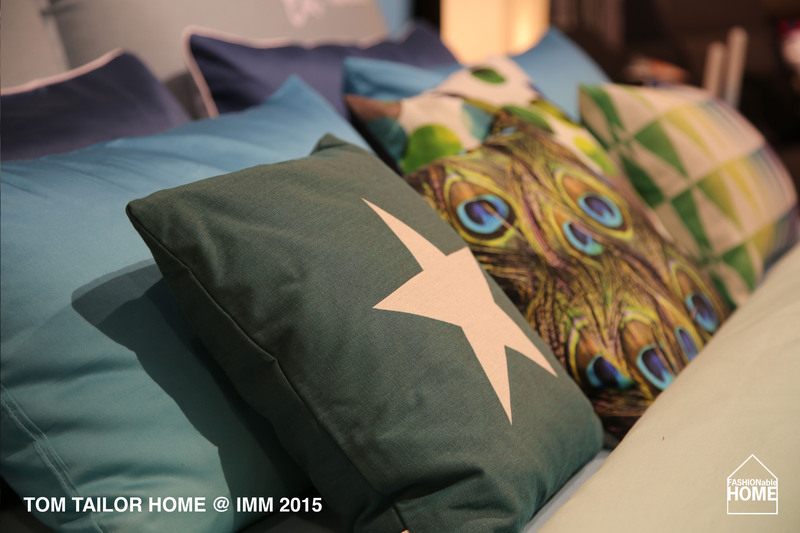 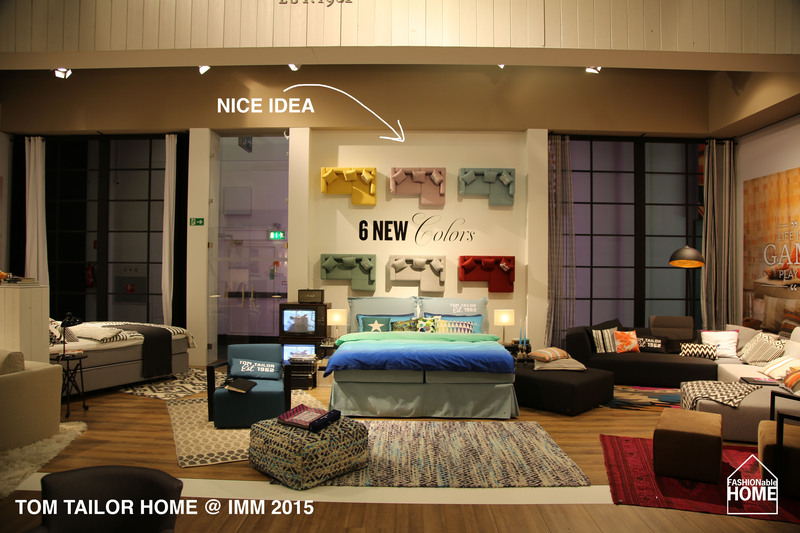 This entry was posted on February 19, 2015 by Chef de Cuisine in Fairs, Home Collections and tagged Accessories, Bed linen, Bed+Bath, beds, Carpets, Cologne 2015, Cushion Box, fabrics, Fairs, Furniture, Heaven, Home collection, IMM, IMM 2015, New Colors, Pastels, TOM TAILOR, TOM TAILOR CASUAL HOME, TOM TAILOR HOME.